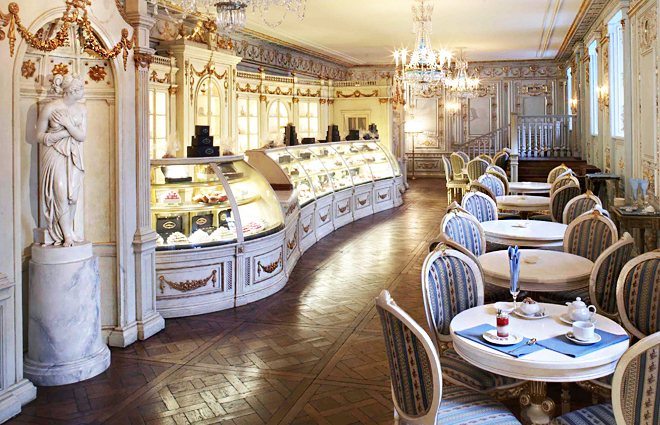 he beautiful 'Café Pushkin Confectionery' not to be mistaken for the famous 'Cafe Pushkin' restaurant was opened in 2006 and is situated on the famous Tverskoy blvd. It's wonderfully charming with an elegant 18th century interior reminding of the golden age of Marie-Antoinette. Restaurateur Andrey Dellos personally controlled the interior design with a magical outcome. However, the biggest delights are the desserts! Emmanuel Ryon, Chef-confectioner and true wizard in his work, creates incredible handmade pastries, cookies, sherbet, sweets, decorated with monograms and leaf-gold – all true masterpieces. All desserts are made of premium-class goods delivered directly from France. 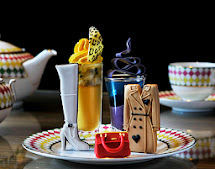 Once entering your eyes are drawn to the glass showcase filled with pastries, cakes, cookies, macaroons, chocolates with hand-painted monograms, French buns and rolls and many more. The doll-like personnel, somewhat reminding fairies, flits from one table to another along with the sounds of classic music, presenting each guest with a smile, warmth and comfort. All this creates a cheery joyous mood. Each dessert is a part of the interior itself: each dessert is a true piece of art, incredibly delicious and infinitely beautiful. 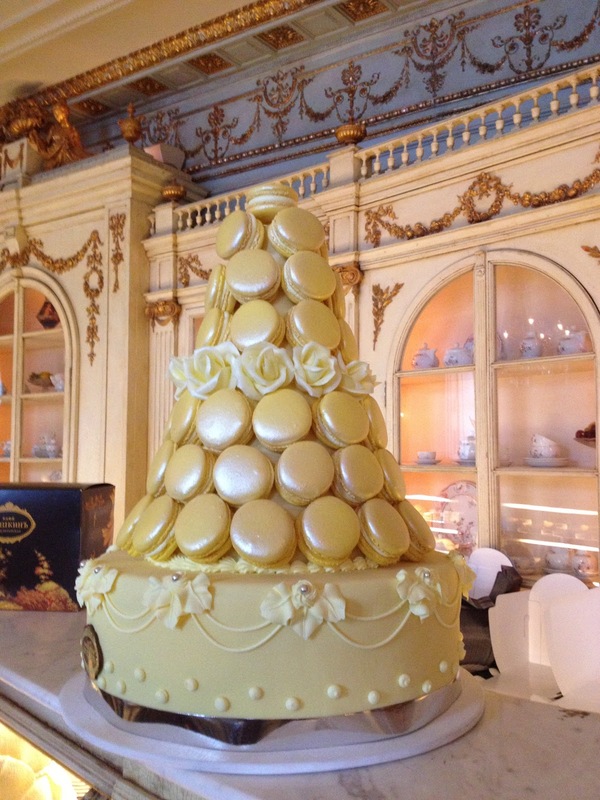 Emmanuel Rion personally controls the elaboration of all the sweets. Only the prime natural ingredients are used in the production. All the desserts are hand-made every day and this provides for the magical taste and an absolute freshness of the product. 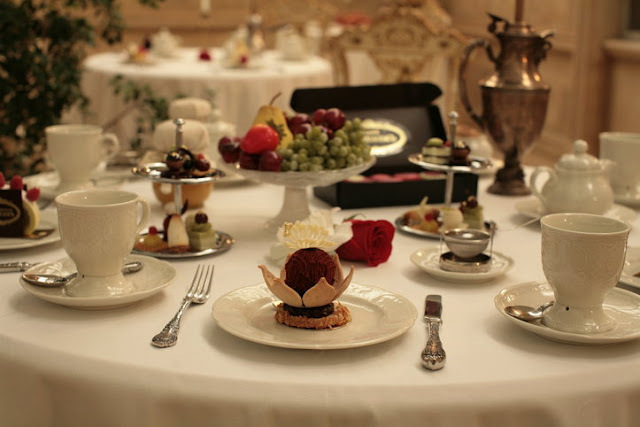 It is a wonderful place for a family tea-party, a romantic rendezvous, meeting with friends or a business meeting. Not only can you have tea and coffee with desserts in the confectionery but also you can have a lunch or a complete dinner-course by ordering dishes from the next-door restaurant Cafe Pushkin. Desserts not only delicious, which is very important by itself, but also delightful to look at.